Your home always needs to be a comfortable and safe place for you and your family, but when the quality of your indoor is jeopardized, that can be nearly impossible. The humidity levels in Mt. Pleasant are very high for most of the year, which makes mold and moisture problems very common for homes in the area, but our experts can help you ensure that they are not a problem for your home. At GLS Engineering, we understand how important air quality is to your home, and how important your home is to you and your family, so we strive at every job we perform to provide you with the most thorough and accurate mold tests and other air quality services possible. We've been working with homeowners in the area since 2003, providing a number of Mt. Pleasant indoor air quality services alongside our regular HVAC services. Our goal is to provide our clients with high quality customer service and workmanship that they'll be totally satisfied with. We have in-depth expertise as well as hands-on, real-world experience, so we're uniquely quality for this job. Give us a call today to schedule your appointment, or to ask any questions you have about our Charleston mold testing services we provide, and we'll be looking forward to working with you. Mold grows very easily and very rapidly in any part of a home that has humidity or moisture. 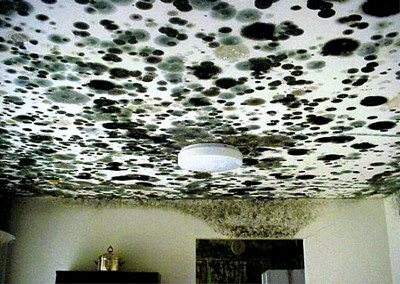 It's not uncommon for mold to grow for years inside a home before homeowners notice any evidence of its existence. Frequently, mold does a significant amount of damage before homeowners begin to suspect there is a problem. Mold can damage the structure of your Mt. Pleasant home, causing wood to rot and decay, and it it's left untreated, the damage can be very difficult to repair. Mold can also cause a number of health problems, and it can be much worse if anyone in your home has preexisting asthmatic respiratory problems. These health problems can also be worse for any children or elderly people in your home. Our experts can help you locate any mold in your home with our Mt. Pleasant mold testing and investigation services. We use advanced techniques and equipment to pinpoint the exact location of mold in your home, whether it's underneath wallpaper, behind walls or ceilings, or in your crawlspace or basement. Anything from mold and mildew to humidity levels or even just pet dander can be major problems for your Mt. Pleasant home's indoor air. Our professionals will be able to find exactly what problems you're experiencing in your home, then we'll determine the best solutions to those problems. If you are looking for a Mt. Pleasant mold testing professional, call GLS Engineering at 843-881-4803, or fill out our online request form.